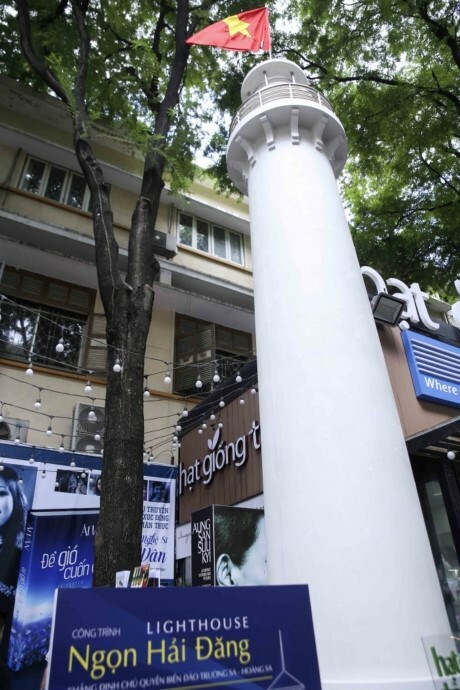 HCM City (VNA) - The city authorities have allowed the Hoa Binh Corp. and First News to establish a “lighthouse” on Nguyen Van Binh street in District 1 to symbolise Vietnam’s sovereignty over its seas and islands. The structure, whose construction began lastweek, is 7.4 metres high and made from a mixture of white glass fibre, black sand and sand from Vietnam’s Hoang Sa (Paracel) and Truong Sa (Spratly) islands. The top of the structure has a revolving light at night like a real lighthouse.